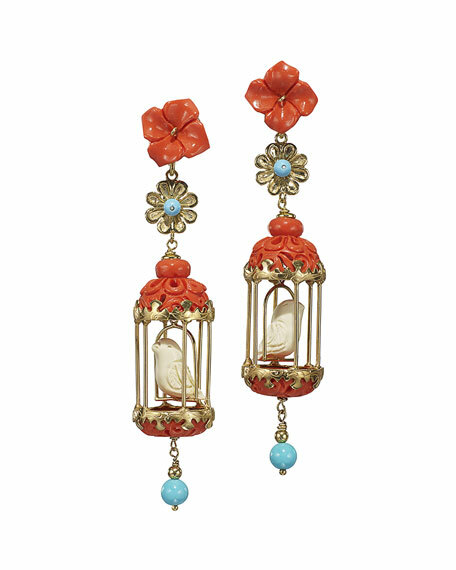 Of Rare Origin "Classic Aviary" drop earrings. Natural and composite coral and jade. Carved bone and turquoise accents. For in-store inquiries, use sku #2245122.